3 story luxury house situated on Colombo 14. 2Kms from Fort, Colombo 1- 300 metres from the Sugathadasa Stadium- 750 metres from Amour?s street. This is a 05 bed roomed house, each room is having a attached bath - toilet- Pantry - kitchen- Floor area of the house is 4800 sqft. Ground floor is made of granite. Other two floors are with terrazzo finish- 2nd floor has a shrine room. Ground floor has a large room attached to the garage. The garage has space for 3 vehicles. First two floors have large living areas. 2nd floor has a bed / office room- lobby area and a open space. This is a 3 year old house and well maintained with a landscaped gardedn. 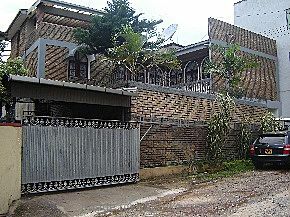 Though the Bloemandal Road is commonly known as a commercial area the premises is located in a residential surrounding.